So, with today’s announcement from Pantone, we now have three major choices of Color of the Year. Well, actually, we have four. Individually, these are pretty colors, but not terribly original. 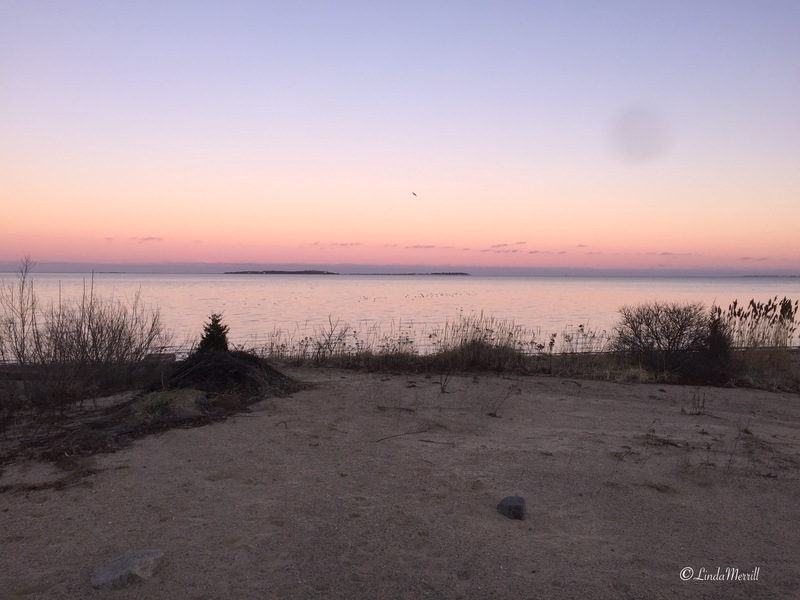 Baby pink and blue – shocking. However, this is a great lesson in how colors interact with one another. And the view from my house. 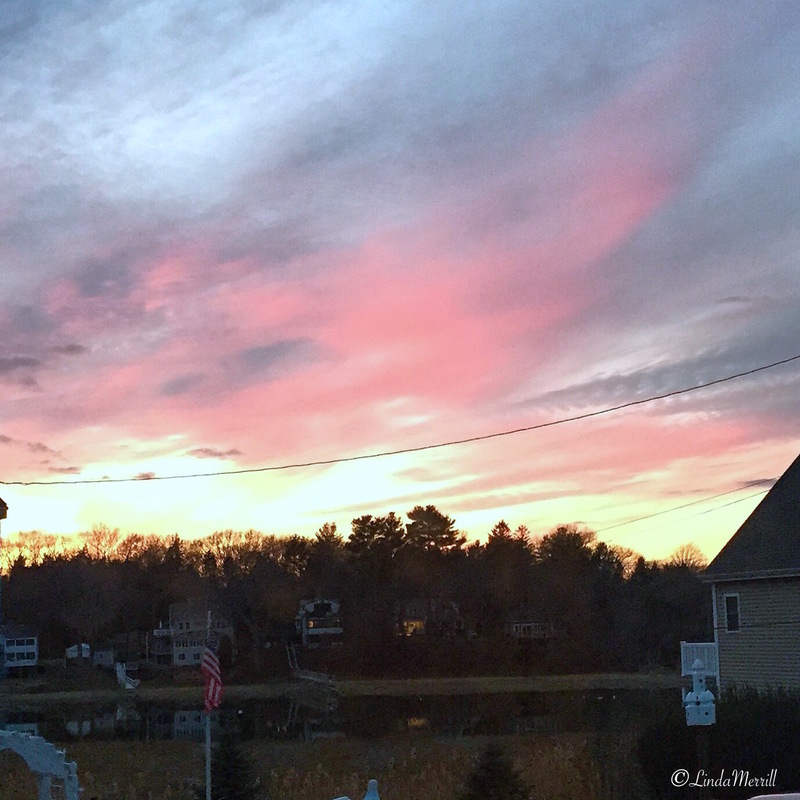 Certainly the sunset shows how colors interact and become something greater than their individual selves. Clearly Pantone‘s intent is for these two colors to be combined, not used as separates. So, it will be interesting where we will be seeing this combination. via Etsy – this seller, Fierce Magenta, is right on point! As for interiors, I think this is a truly difficult color combination to pull off. If the point is that the colors are interwoven, not separate and distinct, it would be difficult to find the right balance so that they aren’t fighting, or look too much like boy and girl twins. I spent quite a lot of time trying to find a pleasing use of these colors in interiors and finally came to the one below. The colors are softer versions, which blurs the lines a little better. That everything is subtly patterned also helps to create a sense of color mixture versus straight pink and blue. And what of the other two paint brands with color of the year announcements – Benjamin Moore and Sherwin-Williams? As you probably know, it’s all about white. The Benjamin Moore Simply White tends to be a clearer color, on the warm white side while the Sherwin-Williams Alabaster is a little muddier and cooler a shade of white. What do you think of these color of the year selections? I had to wonder what the folks at WS said when BM released their pick first. Maybe they already knew, who knows. On the other hand – it’s been cause for a lot of conversation about both colors. It seems that all three color groups are saying: “relax, let’s simplify things”. And given the state of the world today, that sounds pretty good, doesn’t it? Benjamin Moore said their color was in part to honor the millennial generation’s need for self-expression and also lack of permanence. So a clean white becomes the background for a more transient group of people who want to put their stamp on things. Maybe yes, maybe no. Young people are always more transient (I moved many, many times in my 20’s and 30s) and I always put my stamp on my apartments. I think it’s part and parcel of that age. Meanwhile, all three entities also release a group of colors trends and colors that their #1 hue work with and I thought there was an interesting story to tell here as well. I think that the Pantone group has a very retro feel – almost a 1940’s palette, which was kind of subdued coming out of the war years. Sherwin-Williams breaks down their palettes by theme and it’s interesting to note that the Mas Amour and Trajectory themes are very similar to the Pantone grouping. There are also several cross over colors with the Benjamin Moore 2016 color trends, though they tend to skew towards brighter colors – closer to a 1950’s vibe. I’d love to hear your take on these newly minted “trends”. What color, or lack thereof, do you think we will actually see in the next year? Check out my Pinterest board on Colors of the Year for more images. 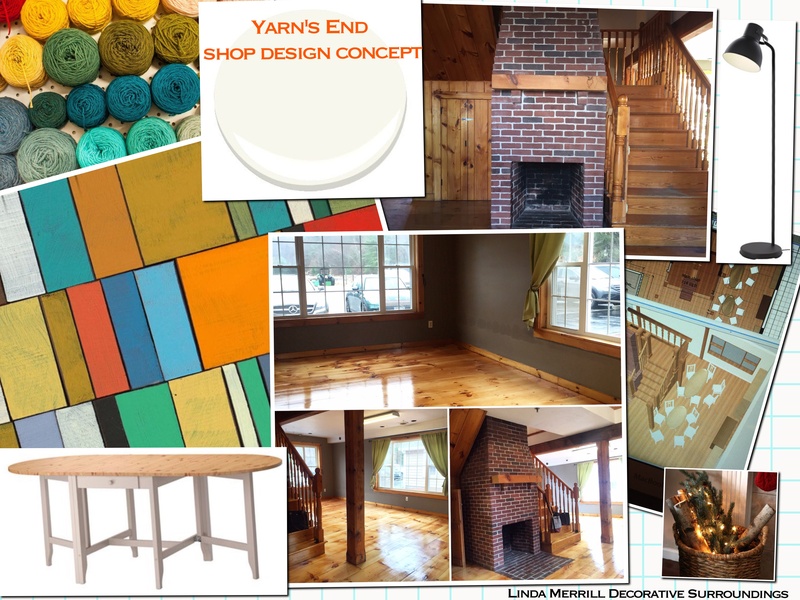 Meanwhile, I’ve been working on the design plan for a shop called Yarn’s End, which is a knitting shop currently located on the South Shore of Massachusetts. I did their design plan for their current location and they will shortly be moving to a new and much cooler space. And guess what the walls and ceilings will be painted? Benjamin Moore Color of the Year Simply White! I wanted to put a pink ceiling in a gray bathroom in my client’s commercial building (the ladies’ room). He said too cutesy and would have nothing to do with pink. The bathroom ended up being beige, go figure! I love white white white, my favorite color. Pink ceilings are lovely! Too bad the owner wouldn’t go for it! By themselves, I was not very fond of Pantone’s colors of the year, but man when you mix them together, they are stunning. I had not thought of those two colors together being part of a sunset. I am interested to see how this will turn out in fashion and design! Plus, they would be easy to pair with Sherwin-Williams and Benjamin Moore’s colors of the year as well. I think it will create a lot of calming and relaxing home decor ideas! Thanks for the post! Totally agree Julie. Blah as separate colors, great together when used properly.